Apple is on the move these days. The stock has been weaving in and out of the $700 billion market cap mark, and some analysts are wondering if Apple (AAPL) at $1 trillion could happen sooner rather than later. The challenge, of course, is that that the law of large numbers suggests that it's hard for a tech giant to continue growing quickly. Apple's once heady growth has been decelerating in recent years. According to S&P Capital IQ, the stunning 66% top-line surge that it produced in fiscal 2011 slipped to 44.6% in fiscal 2012, only to plunge all the way down to growth of 9.2% in fiscal 2013 and just 7% in fiscal 2014. The good news here is that Wall Street sees growth accelerating in the new fiscal year that began in October. Analysts are forecasting revenue growth of 15.3% in fiscal 2015. That's great, but let's go over a few companies that are expected to grow even faster. Sometimes a coattail play is growing faster than the coat. Skyworks Solutions (SWKS) has been a big winner, providing semiconductor components for Apple products. It's also been making its own luck. Over the past two months we've seen Skyworks Solutions boost its guidance, announce better than expected quarterly earnings, and increase its dividend. Skyworks Solutions seems to have its fingers in all of the right areas from the Internet of Things to mobile payments and connectivity. Its refreshed outlook calls for year-over-year revenue growth to top 50% during the current period -- the first quarter of fiscal 2015 -- making the 29% forecast that analysts see for all of fiscal 2015 conservative. The new iPhones are going to sell well in the year ahead -- with higher price points for the larger iPhone 6 Plus fueling forecasts for top-line growth to accelerate -- but one niche in consumer electronics that appears to be growing faster is GoPro (GPRO)'s line of wearable cameras. 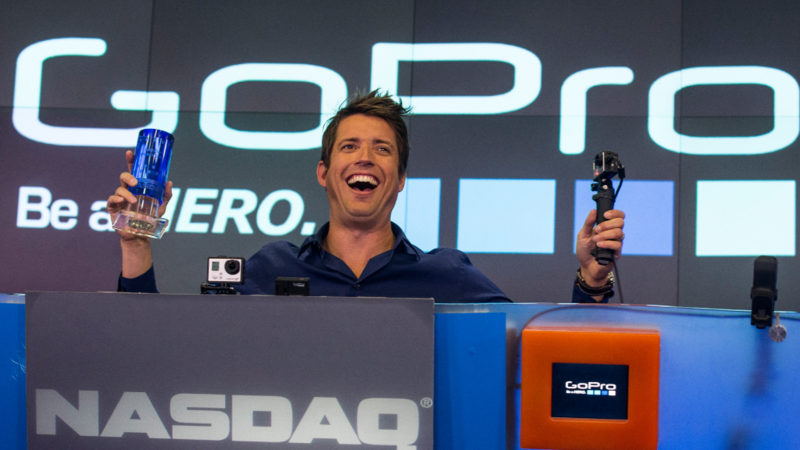 GoPro's been a market darling since going public at $24 earlier this year. Its high-def cameras and strap-on accessories may have originally been popular with extreme sports enthusiasts and "vloggers," but these days the portable cameras are growing in popularity with mainstream consumers even as smartphone cameras continue to improve. GoPro's grand dream of becoming a media company remain to be seen, but for now it's growing at a heady clip. Shares of Netflix (NFLX) got smacked around a few weeks ago after posting uninspiring subscriber growth, a few months after bumping its rate for new streaming subscribers to $8.99 a month. A sequential gain of 3 million net subscribers still isn't too shabby. It likely padded its lead yet again in the premium video streaming market. More importantly, Netflix's international expansion is helping more than offset the member growth slowdown closer to home. The leading online retailer is another company that's going through decelerating growth. We've seen Amazon.com (AMZN) net sales growth slow from 40.6% in 2011 to 27.1% in 2012 and 21.9% last year. 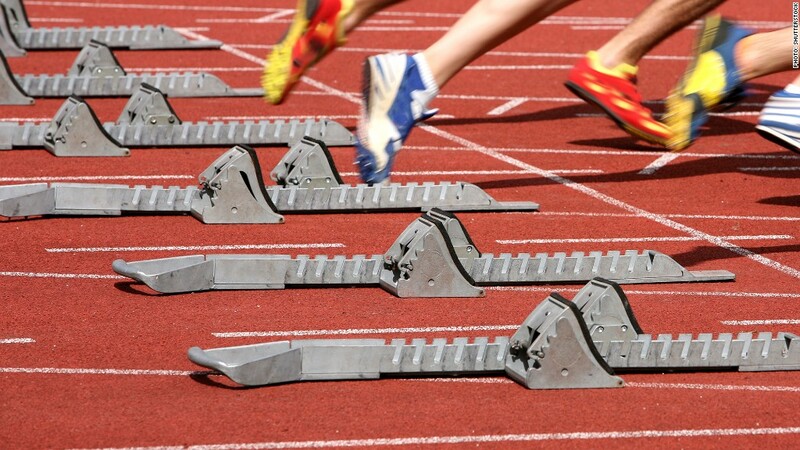 Net sales growth has actually accelerated slightly to 22.1% through the first nine months of this year, but the trend will likely be short-lived. That's fine. You don't see too many retailers topping $100 billion in sales -- as the pros see happening at Amazon next year -- with sales growing in the high teens. Related: Could Apple's Stock Hit $150 With the Help of Apple Watch? The biggest thorn in Apple's side these past couple of years has been Google (GOOGL)'s Android. The open-source operating system has eaten at Apple's initial dominance of the smartphone and tablet markets. Google is growing quickly, but top-line spurts haven't necessarily translated into bottom-line growth. Google's margins have been tested as it invests in new initiatives that may not be profitable right away. The end result is that Google has missed Wall Street's quarterly profit targets every single period over the past year. Rick Munarriz has been writing for Motley Fool since 1995 where he's a Consumer and Tech Stocks Specialist.